Careers Linkup is developed for schools and academy chains, and can operate with one school or a group. The system can handle up to 30 schools working as a group on one secure cloud server. The system can be used with colleges and universities if required. If your school use companies to help provide student support then your admins can log their support and arrange for their staff to provide a range of support activities. Admins can set up all your students in year 9 and 10, for all your schools and add their profiles and upload their psychometric careers test results from your provider. When a company offers to interact with student with the range of activities that their staff are able to support, your admins can drill down into the employee’s jobs to identify the career areas that these employees are offering to support your students interests, skills and values. Once an event is created, your admins can match students to employees to select the best grouping of students for each event. The system also lets you contact students and employees to ensure maximum attendance at events. The system can be accessed on the go via a laptop or tablet, or smartphone. Mainly the system can be accessed by the Admins in each school or by project managers overseeing all schools. 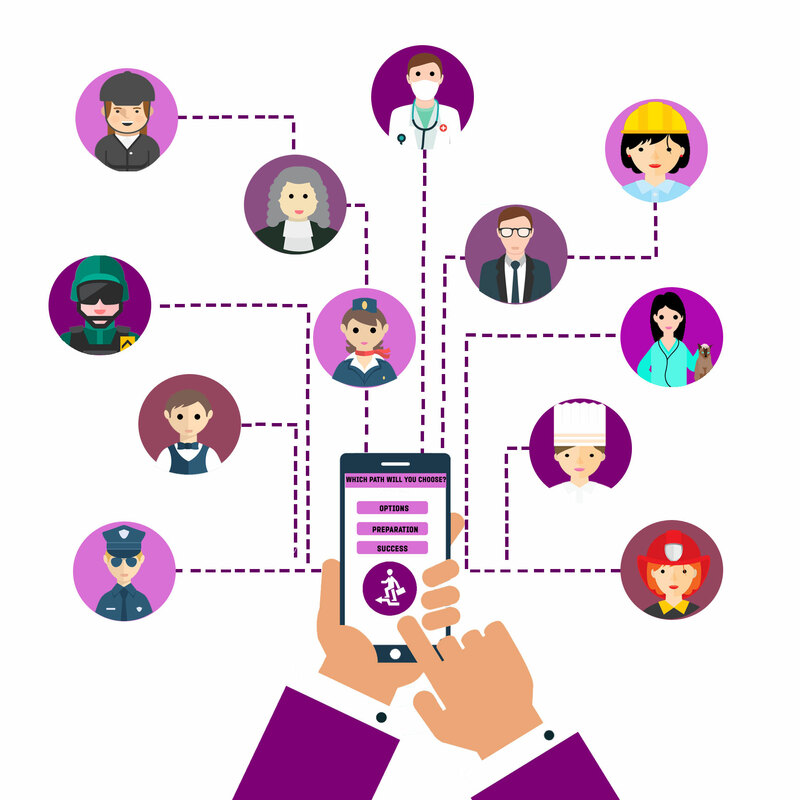 Careers Linkup can be capable of portal access so that students and employees could separately interact with the system, to view events that they can attend, and to view their activities and to provide feedback.